December Graduation at Belmont University in Nashville, Tennessee, December 14, 2018. 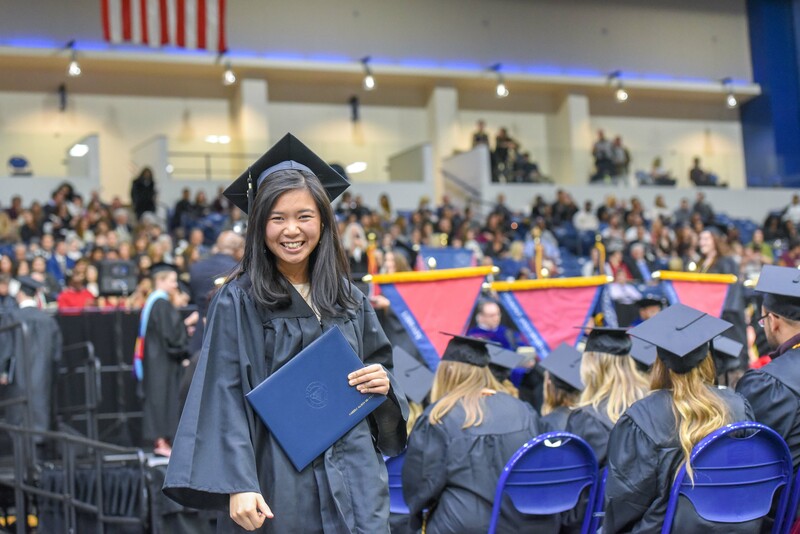 Belmont University hosted its winter commencement ceremony for graduate and undergraduate students at 5 p.m. Friday, December 14, in the Curb Event Center. The University celebrated the graduation of a total of 472 students. During the ceremony, 395 bachelor’s degrees and 77 master’s degrees were conferred. Dr. Robert C. Fisher, president of the University, presided over the event. The commencement ceremony can be viewed online, here.